MEMPHIS, TENN., – Leadership Memphis, whose mission is to prepare and mobilize leaders to work together for the good of the whole community, recently welcomed Kaci Murley as Director of Programs. Murley will be responsible for the advancement of the Leadership Memphis mission through best-in-class programs in the organization’s portfolio, including the Executive and FastTrack programs. 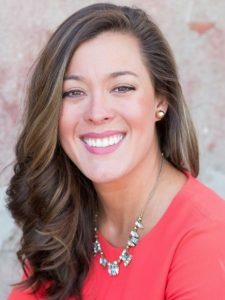 A graduate of Christian Brothers University and the Lipscomb University School of Public Policy, Murley joins the Leadership Memphis team from Complete Tennessee where she most recently served as Director of Engagement & Advocacy. Her experience also includes leadership roles with tnAchieves and Latino Memphis. Leadership Memphis is a non-profit, community leadership development organization. Its mission is to prepare and mobilize leaders to work together for the good of the whole community. Founded in 1979 as The Memphis Institute of Public Responsibility, the organization has trained and graduated more than 4,000 leaders from its signature programs: Executive, FastTrack, Criminal/Juvenile Justice, and Grassroots. Its Action Initiatives are Volunteer Memphis and Graduate Memphis. These initiatives are undertaken to help enhance our city economically and socially by increasing the number of adults who have college degrees and to increase volunteerism throughout the Mid-South.